Every gardener is faced with the challenge of hiding the utilities (such as air conditioning units) and Matthaei-Nichols is no exception. This corner area was transformed from one of the least attractive spaces near the building to one of the most beautiful and intimate. Trees give the garden a feeling of enclosure and the decorative fence completes the illusion. 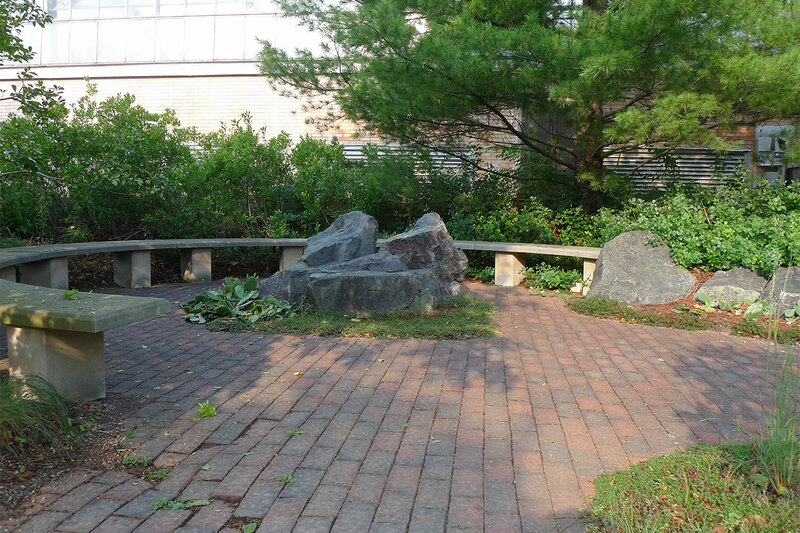 The massive green boulders from Canada tie everything together and the curved bench is the crowning architectural touch. Nestled among the rocks are a selection of perennials that are matched to the growing conditions. Look for special, almost hidden, spaces within this garden. Large native sun-loving plants thrive in one spot while nearby are small hostas tucked into a little pocket with more shade. The non-invasive honeysuckle vines add fragrance and screening while the native bearberry carpets the ground. Most surprising to many are the hardy cacti around the central boulder. The Urban Pocket Garden is at the Matthaei Botanical Gardens site. The Urban Pocket Garden is a creative work by John Stevens of Runciman’s, and was initially created as a Gardenscape funded by the Ford Motor Company. The Stanley Smith Horticultural Trust funded labeling. 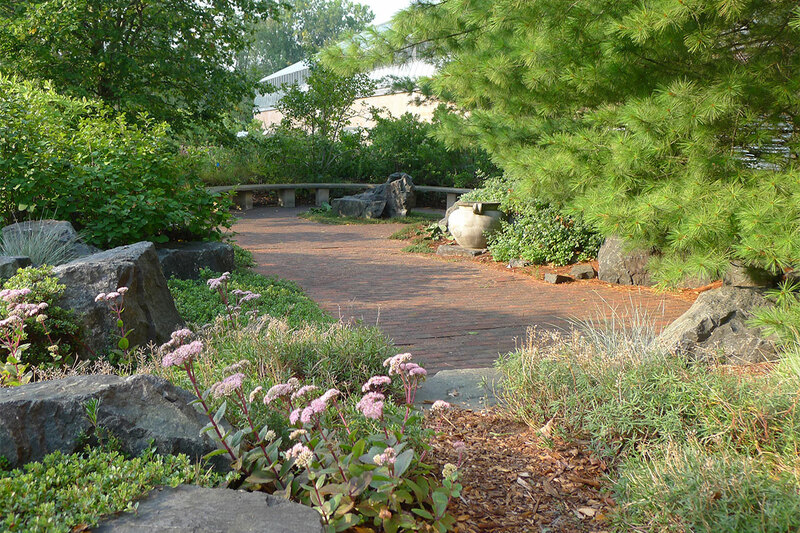 Matthaei Botanical Gardens and Nichols Arboretum needs private support and provides donors with many giving opportunities and recognition.For more details, please contact our director of development, Meredith Olson: merolson@umich.edu; 734.647.7847.